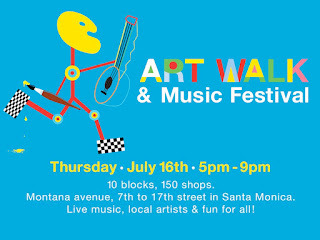 Thursday, July 16th...Get Ready for the Montana Avenue Art Walk and Music Festival! The Montana Avenue Art Walk and Music Festival will take place Thursday, July 16th from 5:00 pm to 9:00 pm with many of the businesses participating. Art will be featured as well as live music by local bands and singers/guitarists performing throughout the night. 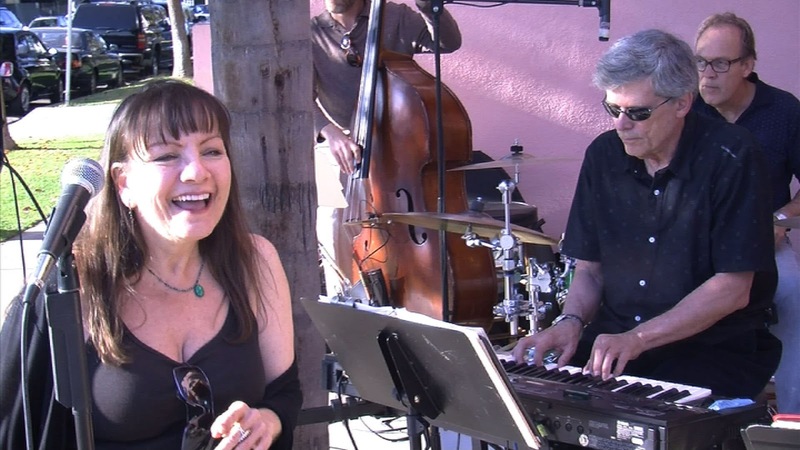 Montana Avenue businesses such as Partner’s Trust, Texture: A Sweater Store and More and Sweet Lady Jean will all feature acts such as Kat and the Jazz Birds, classical guitarist Peter Skrabak, and Milo Gonzalez another talented guitarist. Start off at TEXTURE: the Sweater Store and More is located at 716 Montana Ave. This lovely shop offers the most beautiful scarves and sweaters too. At Texture, you will find 50%-70% off throughout the store. Its great opportunity to enjoy an evening out, listen to local talent and pick up some lovely gifts. 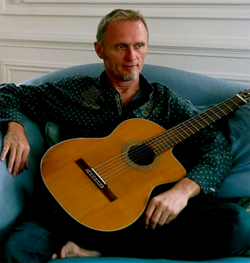 Peter Skrabak will be performing some classical music as well as some standards. Skrabak has been playing guitar as long as he can remember. 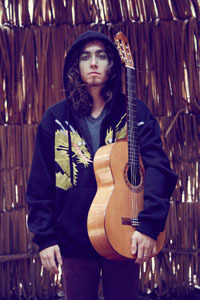 He got his first guitar at the age of seven. By the time he was ten, he was taking classical guitar lessons and then at the age of fourteen he did his first professional gig. Prague, former Czechoslovakia (where he was raised). At seventeen he was a full time musician working with a variety of bands, big band, jazz combos, top-40 and more. He often played at the well known jazz club Reduta in Prague. 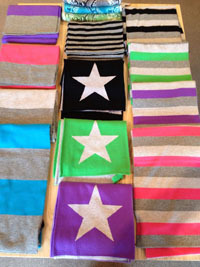 TEXTURE: the Sweater Store & More is located at 716 Montana Ave., Santa Monica, CA; (310) 393-0707; See Texture's FB page. 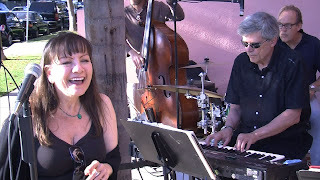 Then Kat & the Jazz Birds will be outside Partner’s Trust at 1333 Montana Ave at 14th Street. The band consists of pro-players, keyboard player Bob Crickmore, saxophonist Al Rappoport, Bassist Mike Flick and drummer Mitch Montrose. See Kat & the Jazz Bird's FB Page. Enjoy classics such as Fly me to the Moon, Almost like Being in Love, All of Me and more. Fronted by jazz songstress Kathy Leonardo, a native New Yorker, who got her start singing and dancing in Broadway musicals. Her big voice is perfect for the iconic melodies made famous by the likes of Etta James, Lena Horne, and Ella Fitzgerald. In her twenties, Leonardo toured with renowned actor/singer and composer Anthony Newley in a revival of his show “Stop the World, I Want to Get off,” and got the chance to work with renowned composer Charles Strouse (Annie Bye Bye Birdie) in several incarnations of an original opera. Leonardo played the comic lead.